As a writer, I’m sometimes invited to participate in a collaborative project or respond to a writing prompt. The day before Mother’s Day, I had the pleasure of joining three writers for what was described as a “writing attack.” Each of us was to interpret the call-to-action in our own way. The assignment was for the blog, True Stories Well Told, managed by my reminiscence-writing coach and mentor, Sarah White, for her summer series, Season of Sports. We joined hundreds, perhaps a thousand or more, local flat track women’s roller derby league fans for the Mad Rollin’ Dolls final championship bout at the Alliant Energy Center Exhibition Hall in Madison, Wisconsin. In addition to women’s roller derby, there were multiple events Saturday evening at the convention center, including wedding receptions and a leadership conference including team tailgating in the parking lot. 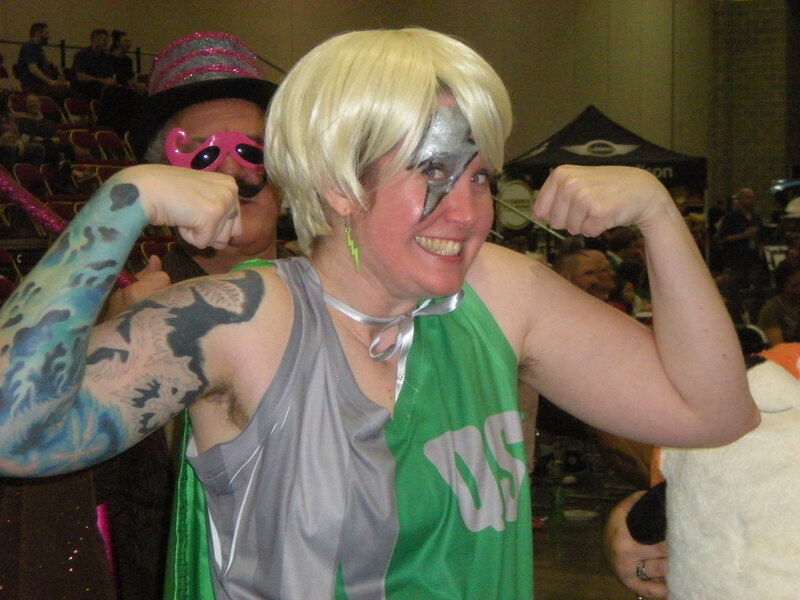 It was easy to identify the roller derby fans, not by their common dress or demographics, but by their diversity. 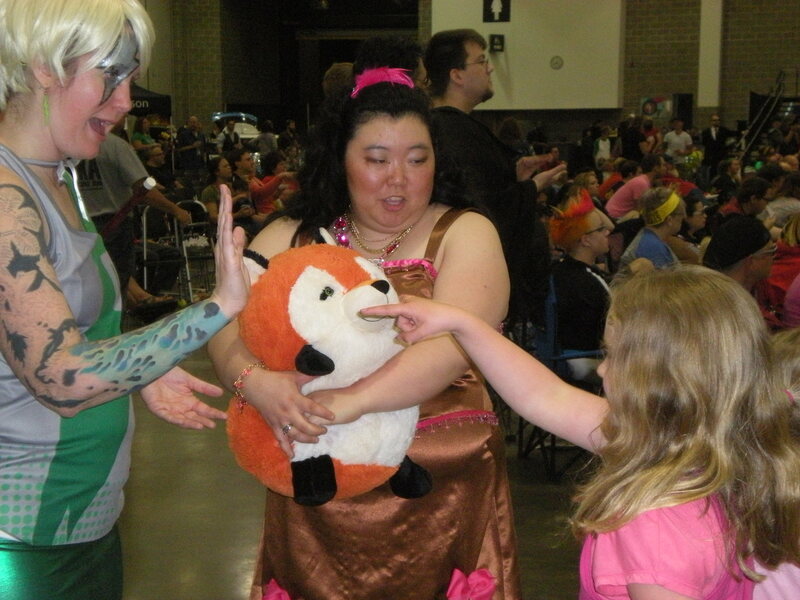 There were families with children and babies of all ages in tow, motorcycle aficionados, Furry’s, tattooed members of the LGBTQ community, cheerleading fans, and face-painted superheroes off all ages. This was a tribe, an affinity group brought together to root for their sheroes on wheels. The battle cry: Get Your Skates On! As I prepared for this writing experience I looked for a hook, and it didn’t take me long to look back at my childhood in the 1950s and 60s. As an active preteen tomboy, admittedly one on the chubby side, I searched for strong, athletic women who competed in sports. What I discovered however was that besides tennis players in white skirts, gymnasts and track athletes with their lithe dancer-like bodies, and the rare Colgate Dinah Shore Women’s Golf Tournament founded later in 1972, women who participated in sports were largely absent in the public arena. The exception was televised roller derby tournaments replacing the dance marathons and walk-a-thons of the 1920s and 30s. The bank-tracked roller skating tournaments were part performance art and a rough and tumble, fast-paced, bruising competition of teams and individual players with monikers representing good and evil. It was easy to select and cheer for a team and individual skater. It was the female version of televised wrestling of the 1950s and 60s. Like wrestling, the athletes needed to be in shape so they weren’t seriously hurt and yet they still often were and that always added to the drama. 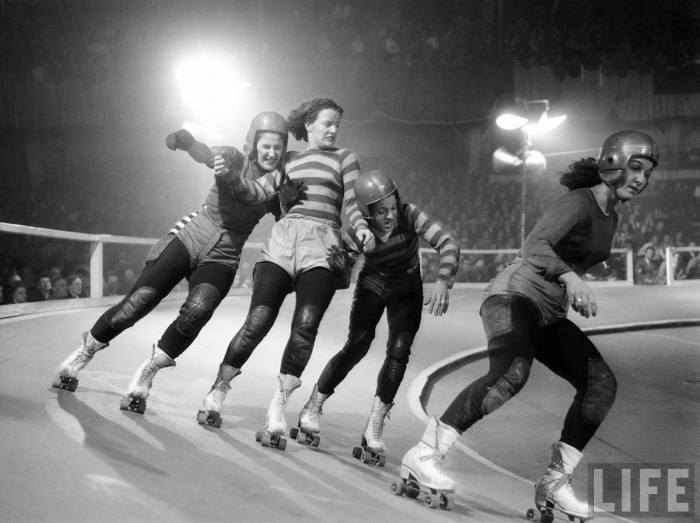 I sought out images of athletic women by watching roller derby teams compete. The skaters pulled their long, often bleached platinum blonde hair back into ponytails and lipstick painted their lips, but in the era of black and white television it was difficult to discern whether it was lipstick or a bloodied lip. Elbows were thrown, pushing and shoving was commonplace, and the physicality and action was real, but like televised wrestling, often exaggerated. In another intersection of past and present, the day after the Mad Rollin’ Dolls Tourney Championship, I returned home to celebrate Mother’s Day with my family. I walked into the kitchen while my sister Cindy led both the youngest and the oldest of my relatives in a rousing rendition of a song from 1961, Robert Preston of the Music Man era Broadway show, singing Go You Chicken Fat, Go! The song was selected by our young President, JFK, to promote physical fitness. Each day in gym class we’d don our periwinkle blue one-piece unflattering short-legged gym suit with a cinch clasp waistband belt and do jumping jacks, pushups and other exercises to the song ad nauseum. I credit that experience with my abhorrence today of any kind of fitness exercise. The song had the opposite of its intended effect. Beginning in the 1950s and through adulthood, my competitive athletic resume included the following: Mitchell Junior High School 4th grade marble champion (see my story, Pocketful of Gumballs), city recreation girl’s softball-throw blue ribbon winner, 1972 Bristol Renaissance Faire Women’s Archery Champion, and in the late 1970s workplace ping pong winner in the Billie Jean King vs. Bobby Riggs Tournament. Years later in the late 1970s and early 80s I was a Madison recreation league women’s fast pitcher (though I must admit, a slow one) on teams such as the women-owned Jade Construction, F.O.E. (Feminist Odyssey Express) and finally the Lysistrata Fireballs. Today, I’m more apt to watch women’s sports rather than participate and gratefully I have lots of options from the University of Wisconsin Hockey team, UW Volleyball and Basketball, tournament golf, tennis, Olympic competition and race car driving, horseracing and extreme sports. Yet when I want to see the most awe-inspiring, cheer-inducing, rousing women-loving feminist competition, you’ll find me sitting with the throngs of roller derby fans, yelling, cheering, calling out fouls and infractions, and screaming the monikers of individual skaters and all-in-all having a great time! Get Your Skates On! © 2015, Linda Lenzke. 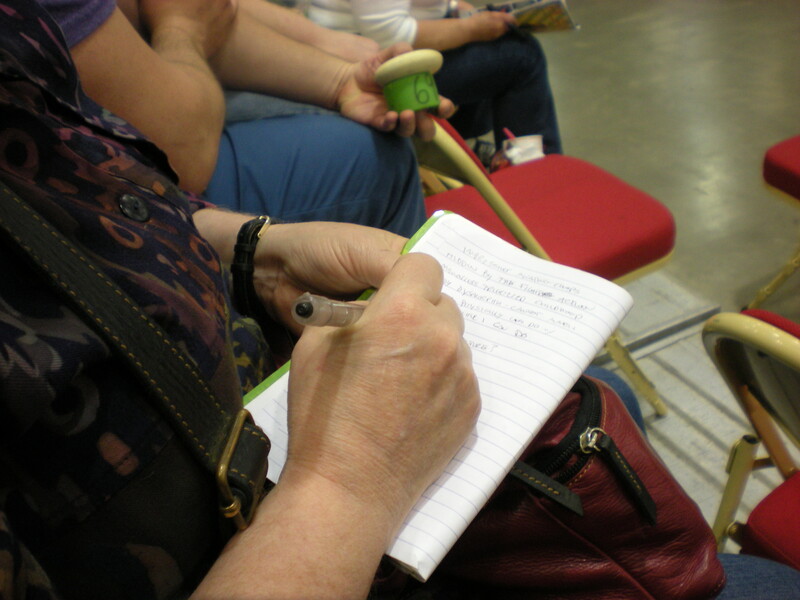 Linda is a Madison-area writer, poet and playwright who blogs at Mixed Metaphors Oh My! What has been the role of competitive sports in your life? Comment! Or better yet, send me your stories to publish on True Stories Well Told. See guidelines here…. 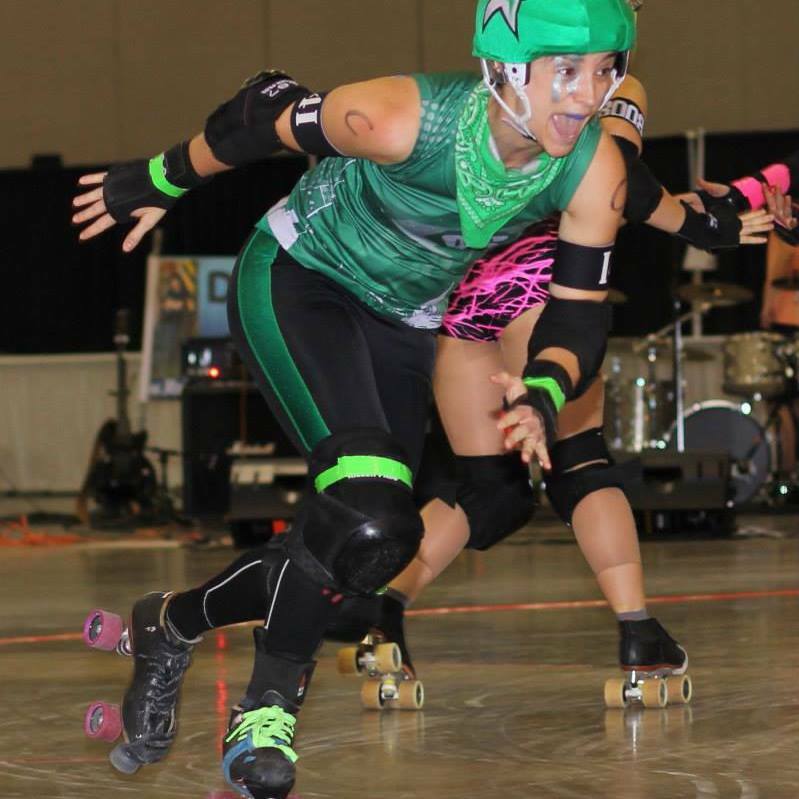 This entry was posted in Guest writer and tagged mad rollin' dolls, roller derby, sports. Bookmark the permalink.